Chrichton's World: Review How it Ends (2018): Adequate but not a title I would recommend! Review How it Ends (2018): Adequate but not a title I would recommend! 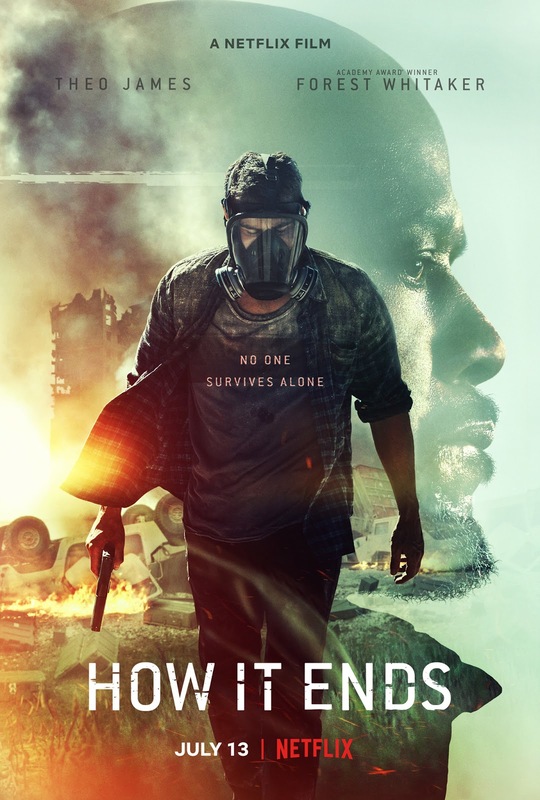 How it Ends is about a man in search of his wife after apocalyptic events have caused mayhem, chaos and destruction making his quest a very hard one. The man named Will Younger played by Theo James is accompanied by father in law who he isn't on good terms with. The father in law is played by Forest Whitaker so that should provide some gravity to this film right? In some ways certainly. However there is one aspect this film can't escape from. Bad writing. The story is incredibly poor and none of what occurs is remotely fresh or creative. It's the cast and the dynamics between Withaker and James that keep things interesting. But for the rest it's quite a predictable affair. Which is a real shame since this would have been the ideal platform to do something wild and absurd. I don't understand why Netflix often opts for the safe films. I get that they don't have the budget of big Hollywood productions. But still more reason to focus on an original or at least creative narrative. It also doesn't help that the film takes itself far too seriously. It's like it's afraid to joke around. The action and adventure elements are quite generic and far from stylish. You would think a General would have more tactical and strategic insight. But he acts like most humans would act put in the same situation. Then what was the point of making a big deal of his profession? Just to point out that he is strict, rigid and difficult? Talk about stereotypes. Wasted opportunity if you ask me. Adventure and action wise it's decent enough. But nothing you have seen before. Again why doesn't Netflix push for more creativity? There are too many films on Netflix that are like this. Too predictable and generic. Compared to how they treat their shows the films still need a lot of work. In any case How it Ends is adequate but not a title I would recommend.